British Columbia will file a reference case in the provincial Court of Appeal by the end of this month to determine if it has jurisdiction over the Trans Mountain pipeline expansion project. Attorney General David Eby made the announcement Wednesday morning. "Our goal from the beginning is to ensure that we are actually exercising the full extent of our jurisdiction, the full extent of our authority," he said. In Canadian law, governments submit a reference question to the courts to ask for an advisory opinion on a major legal issue. The court is obligated to hear cases that are referred by cabinet, Eby said. The federal and Alberta governments support the Trans Mountain project, while B.C. says it's defending its coast from a potentially catastrophic oil products spill. "This process is about B.C. 's right under the Constitution to regulate against the deleterious impacts on the environment, on the economy, on the provincial interests — whether it's an inter-provincial project or a provincial project," B.C. Environment Minister George Heyman told reporters at the B.C. Legislature on Wednesday. The filing is B.C. 's latest move in the ongoing deadlock between the western province and Alberta over the $7.4-billion project, which runs from Edmonton to Burnaby, B.C. At the Alberta legislature, Energy Minister Margaret McCuaig-Boyd said B.C. 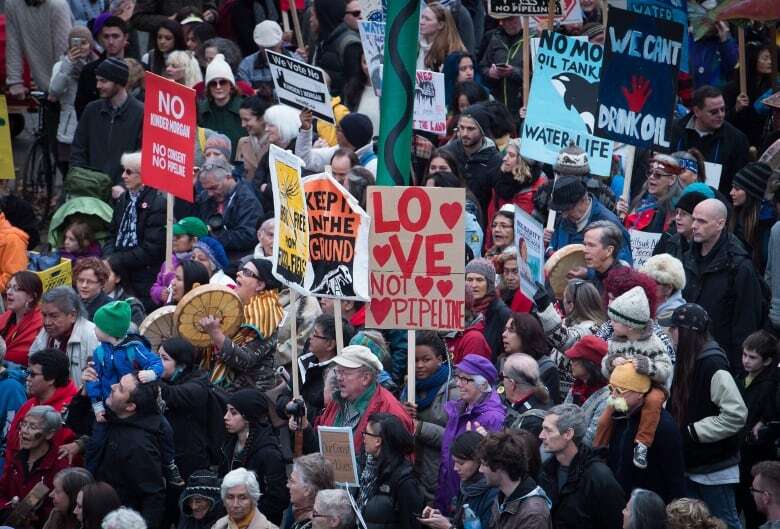 's announcement was expected and won't change the outcome for the pipeline. "At the end of the day this is a federally approved project and B.C. continues to use their one tool, which is going to court, apparently," she said. "We are going to use the tools that we have in our tool box, as will Canada, and we're going to get this thing done." Earlier this month, Kinder Morgan — the U.S.-based pipeline builder — announced it was stopping any non-essential spending for the project. The company gave Prime Minister Justin Trudeau's government until May 31 to give a clear signal the project will proceed. 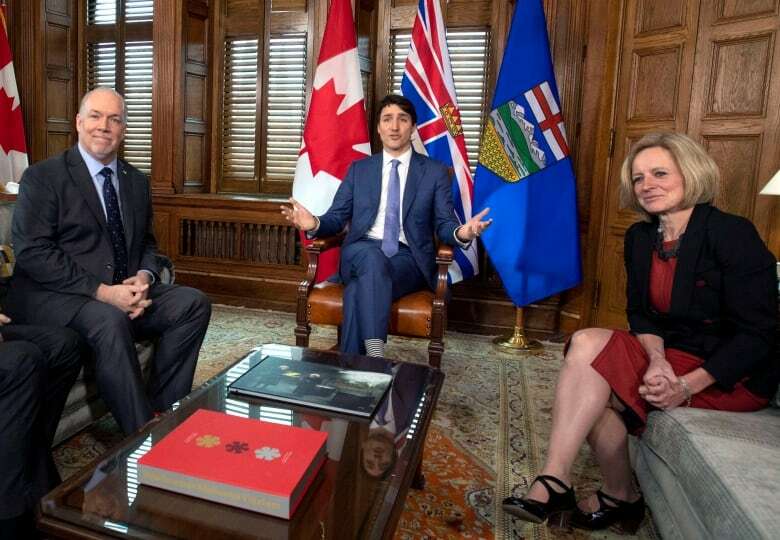 After that, Trudeau called a last-minute meeting with Alberta Premier Rachel Notley and B.C. Premier John Horgan. The political leaders met Sunday in Ottawa to discuss the pipeline and the ongoing deadlock, but their positions remained unchanged. The prime minister repeated Ottawa's commitment to ensure the project is finished, saying his government will hold private, financial talks with Kinder Morgan in order to move forward. The federal government will be notified of B.C. 's intention to file a reference case, which will need to go through provincial cabinet before it's filed. It's entirely up to the court to set a date for the hearing, so Eby couldn't say whether B.C. 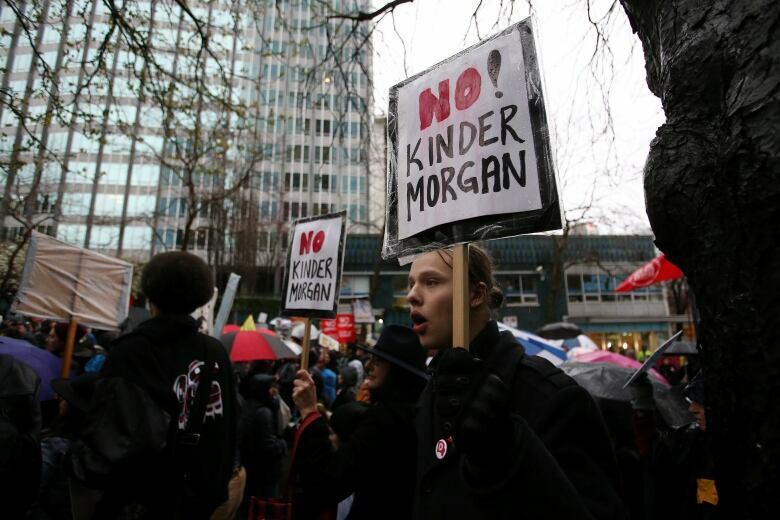 will have its day in court before Kinder Morgan's May 31 deadline. However, the attorney general said the province deliberately chose to go to its own highest court in the interest of time — he said the government could have asked the federal government if it wanted to submit a joint reference question, in which case the issue could've gone straight to the Supreme Court of Canada, but that may have taken longer. "One of the big factors in forming our decision to go to the Court of Appeal was our desire to get finality around this as soon as possible," Eby said. "As far as what we're able to do [on our own] by law, we're only able to go to the B.C. Court of Appeal." Asked if B.C. would take the battle to the Supreme Court of Canada if it wasn't satisfied by the outcome in provincial court, Eby said the province would "cross that bridge when we come to it." An earlier version of this story incorrectly attributed comments about B.C. 's constitutional right to regulate negative environmental impacts to B.C. Attorney General David Eby. In fact, the comments were made by B.C. Environment Minister George Heyman.